4 nights accommodation at Tent City Bathurst including: – View Tent City Location. – View Tent City Pricing. 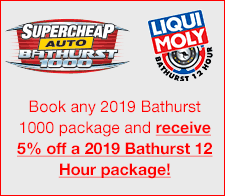 4 Day General Admission ticket to the 2019 Supercheap Auto Bathurst 1000 – View Ticket Upgrades. The Paddock is where all the behind the scenes action takes place. From inside the Paddock, you can see the teams working in the garages, the amazing purpose built team transporters and maybe even grab an autograph! 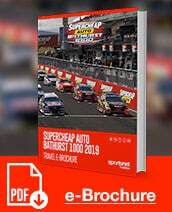 The Annual Sportsnet Bathurst Drivers Dinner on Thursday 10th October, 2019 OR; – View Drivers Dinner Photos. The Sportsnet Friday Night Legends Dinner on Friday 11th October, 2019 – View Legends Dinner Photos. 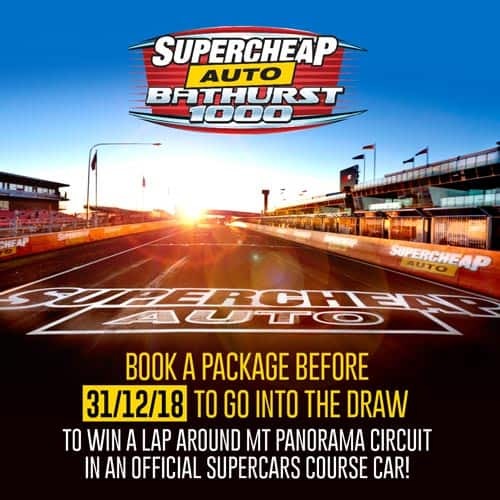 Grandstand 1 is the best choice if you want to see all the action that takes place at Murray's Corner - the final turn on the Bathurst circuit. Located on the outside of the track, this stand is a prime viewing position which traditionally sees extensive gravel trap action as the cars complete their high speed descent of the mountain and has the best view of pit entry. This stand is not covered and is best accessed through gates one, two or three with food and beverage retailers and merchandise stalls located directly behind the stand, and toilet facilities just a short walk away. Podium (7) Grandstand is located on the outside of the track on pit straight directly across from the podium and pit garages. This is the perfect seat to witness all the start/finish line action. These seats also enjoy a view of the big screen and are within a short walk of food and beverage retailers, and toilet and ATM facilities. Grab your favourite teams' merchandise from the stalls within walking distance behind the stand. This stand is not covered and is best accessed through gate four. Grandstand 10 is the largest Grandstand on track. Located on the outside of the track on pit straight, you will have a front row view of pit lane and the big screen. This stand is not covered and is best accessed through gates four or five. Directly behind the stand are food and beverage retailers, and toilet and ATM facilities. You can pick up your favourite teams' merchandise from one of the retailers also located behind the stand. Grandstand 8 is directly across from the pit garages so you can catch all the action that unfolds in pit lane. Located on the outside of the track on pit straight, this stand is one of the best places to witness all the start/finish line action. This stand is a partially covered permanent structure with a big screen directly opposite the stand so you don't miss a minute of the race. Behind the stand are food and beverage retailers, merchandise stands along with toilet and ATM facilities. The Grandstand is best accessed through gate four. Grandstand 12 is located on the outside of the track at the exit of turn one. This stand is covered and is the prime viewing position to witness the race start and the carnage before the cars ascend the mountain. This stand offers the best view of pit lane exit. This Stand is fully undercover providing protection from the sun and rain. All your favourite sports in one place, located on the pit roof on pit straight! Enjoy all the action that Mount Panorama has to offer in the Trackside Lounge. Located on the pit roof on pit straight above the team garages. Enjoy the ultimate premium shared experience, located in climate controlled suite directly above the team garages on pit straight. Enjoy the iconic race in an intimate corporate setting. You won't want to miss a minute of the action from this shared experience located on the pit roof on pit straight. The Virgin Australia Paddock Club is Supercars premium shared suite located on Pit Straight. Offering first class service, an electric atmosphere, entertaining driver interviews and appearances, the Virgin Australia Paddock Club is truly motorsport at its best. Enjoy panoramic views from one of the most popular positions on the track. Here you will be spoilt with views overlooking Conrod Straight, the Chase and Murrays Corner. Located on the top level of the Rydges Mount Panorama Bathurst relax and watch the great race in climate controlled comfort. All your favourite sports in one place located on the pit roof on pit straight. Please Note: Children: Children under 12 years are not permitted into shared suites. Children over 12 are required to hold corporate passes to gain access. Dress Code: The minimum requirement is smart casual. Dress jeans, dress shorts, t-shirts and racing shirts are acceptable. Tank tops, singlets, THONGS and/or non-dress shorts are not considered appropriate attire. Please note that the Sports Lounge dress code will be strictly enforced. Guests who are not dressed appropriately will be refused entry. Q.Where is the event being held? Q. Is Sportsnet Corporation an Official and/or Appointed operator? A. Sportsnet Holidays is a licensed Travel Agent selling Official packages. Q. Can I buy tickets without accommodation? A. No, tickets much be bought in conjunction with accommodation. Q. Can I buy the package without tickets? Q. Are there children’s tickets available? A. Will be advised once tickets are on general public sale. Q. Can I request where I sit? A. 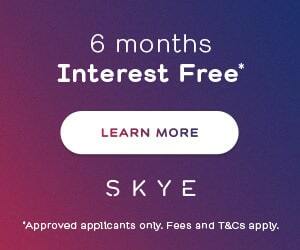 Yes, however this is subject to availability. Q. Are there different standards of tickets? A. Yes, please refer to the upgrades tab. Q. Do grandstand tickets include reserved seating? A. Yes, all grandstands include reserved seating. A. Yes, however it is subject to availability. Q.What is the minimum night stay? A. There is a 3 night minimum stay. Q. Where is the function being held? A. Neat casual event and team apparel is encouraged. Q. Can I purchase tickets to the function only? Q. Can I purchase event and function ticket only? A. Yes, event ticket and function can be purchased. Q. Can I remove the function from the package? A. No, the function cannot be removed from the package. Q. Is there a child rate? Q. Are flights and pre-paid taxes included in the package? A. No, transfers are not included in the package. Q. Are transfers included from my hotel to the event? If so, what type? A. No, transfers are not included. However Tent City provide coach transport to and from Mount Panorama each day (additional cost payable on board). A. Bathurst at this time of year is usually sunny and hot however rain is also common, pack for all seasons. Q. When can I expect to receive my tickets? A. All documentation, including your event tickets, will be sent via courier to your nominated Australian address approximately 1 week prior to the event. Please note no signature is required and the courier will leave your documents in a safe place should you not be home. You will receive a call prior to delivery to advise you of the estimated delivery date. Q. Why should I book through Sportsnet Holidays? A. All it takes is a phone call and we’ll look after your booking from start to finish providing you with piece of mind, convenience and a seamless experience. Q. Can I extend my trip? A. Absolutely you can! Please speak to one of our expert consultants to help you plan your trip. Q. What is the best way to book? Q. How do I pay for my package? A. You can pay by credit card, Direct Deposit, cheque or money order. Q. Do I require travel insurance? A. Travel insurance is not compulsory however Sportsnet Holidays highly recommends your purchase travel insurance for both domestic and international events. Please speak to your consultant who can assist in finding the right policy for you.